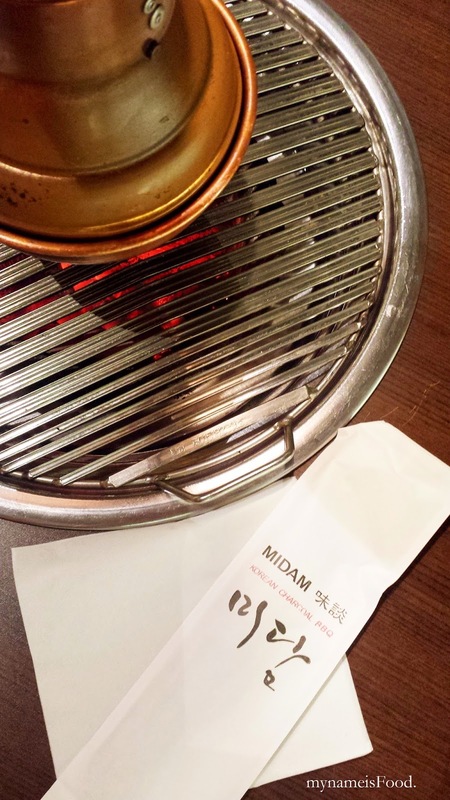 Midam Korean Charcoal BBQ is located at Sunnybank Hills, just behind Pinelands Plaza. They offer a wide range of Korean dishes, either a-la-carte or bbq buffet, though I think they specialize more on their Charcoal BBQ. From the outside, the restaurant may look small but when you step in, it is rather big. We decided to try their Charcoal BBQ Buffet ($28/per person) since if you bought the a-la-carte bbq meats by itself, it doesn't seem worth it at all really if you compared it to the buffet. The restaurant were quite filled with us being sat around the back area, it was rather noisy but then I guess, Korean BBQ is all about having fun cooking together, drinking and just chatting.. There was a long table in front of their counter, various salads ingredients in which you can make your own with a variety of meats offered. Side dishes were just okay, not as much as Sunny Seoul (where they do deliver a wide range of side dishes). Side dishes given and which can be refilled are kimchi, fish cake with onion and carrot mix and also a potato salad. 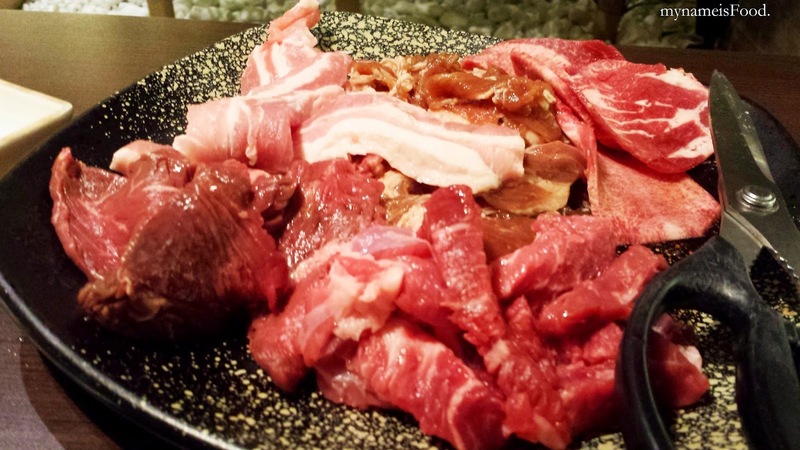 Do be careful when you take excessive meats to your table, as they do charge leftover meat left at your table. Sauces and Salads are also refillable and you can adjust them to your liking. 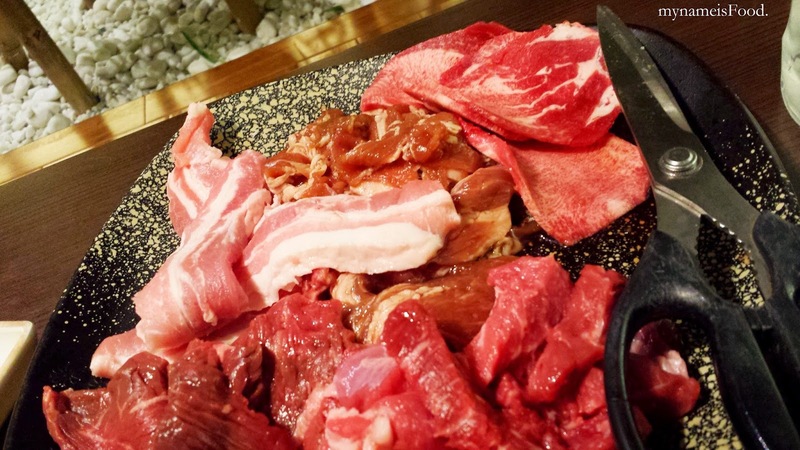 Available meat are Wagyu beef, marinated beef, marinated pork, chicken, pork belly, ribs, bulgogi, ox tongue etc. 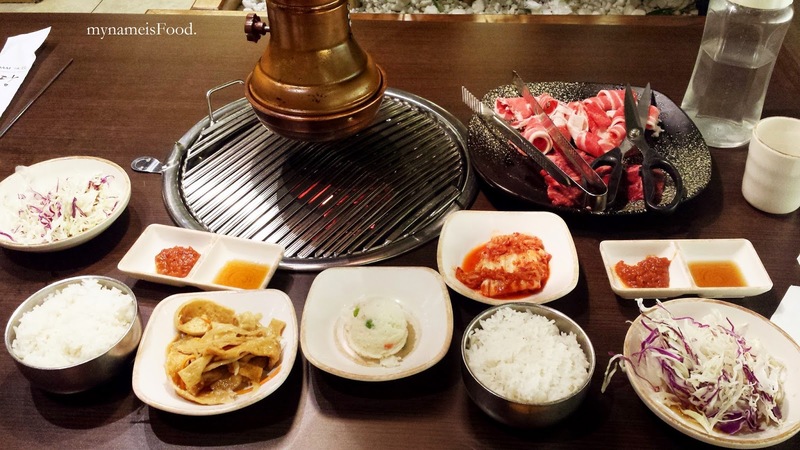 Their Charcoal BBQ may be one of the best in southside, so do have a try if you feel like having Korean BBQ. 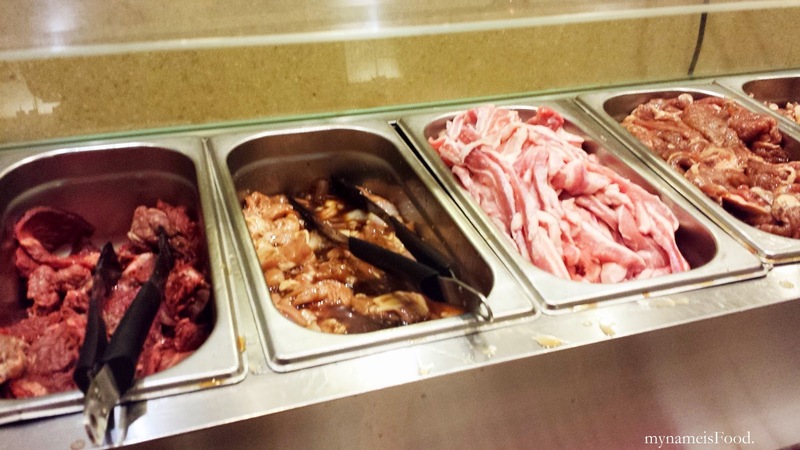 Though again, I might have to say that their buffet is much more worth it than having to buy the BBQ meats individually. Oh, and another thing is that parking may be a hassle, but there are street parking available if you can't find a park.